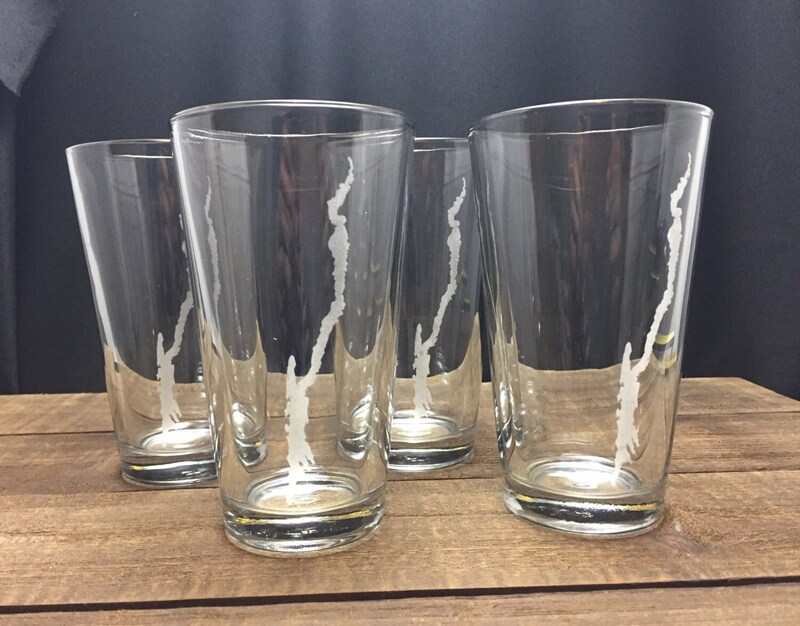 A set of 4 pint glasses with the silhouette of Lake George. 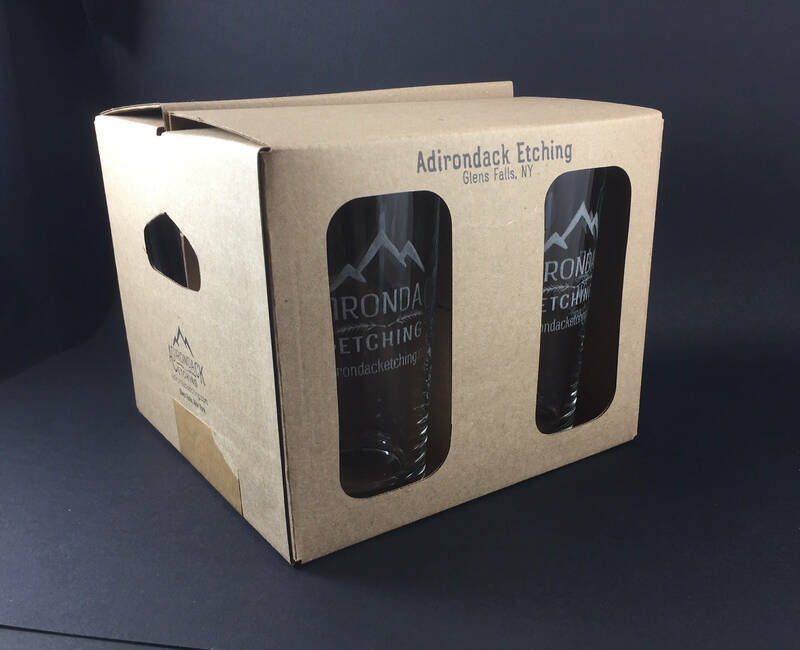 Enjoy your favorite beverage with your own set of laser etched glass featuring Lake George. Want more? Bulk options are available. Please contact us for details. These glasses were awesome!! Perfect for anyone who loves Lake George. Our recipient loved them! Very fast shipping and packaged well for shipping so they were protected! 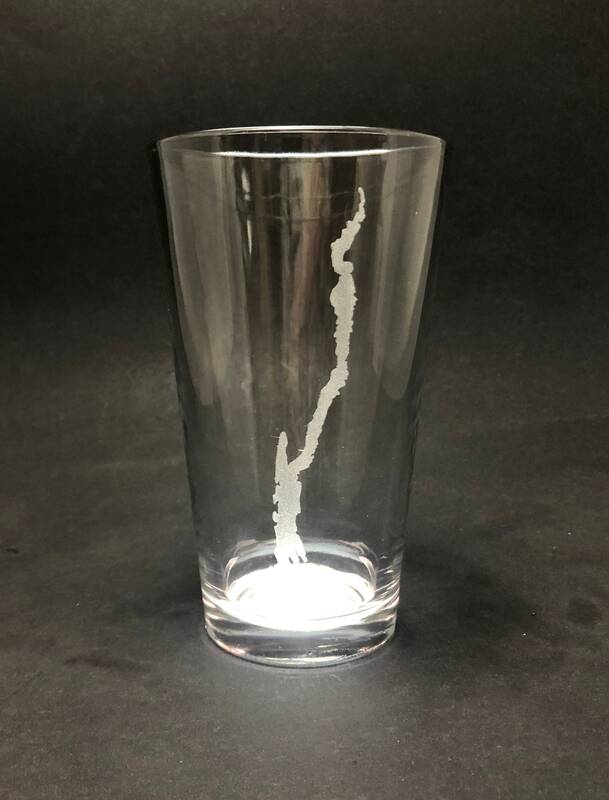 Would highly recommend the glasses and seller. Came quickly and as pictured!